Check it out! 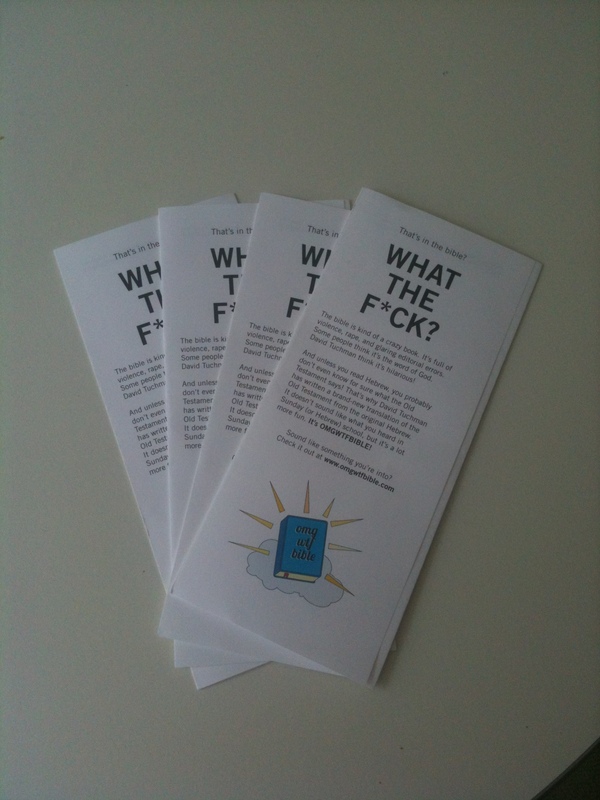 Some official OMGWTFBIBLE propaganda has been printed and is ready to be handed to unsuspecting commuters. If you want some brochures of your very own, show up Monday for Chapter 8, where I’ll be giving these out to all audience members. This entry was posted in Live Shows, Media, News, Promotion and tagged bible, comedy, lol, omg, omgwtfbible, propaganda, religion, wtf by omgwtfbible. Bookmark the permalink.